Lots are the old-time equivalent for dice, I gather. And Scripture says God decides how the dice land. In other words, Romans 8:28. God works all things- good things and bad things, painful and sinful things, even seemingly random things like rolls of the dice- out for good to those who love him and are called according to his purpose. By God our lot is cast. [T]he dice are rolled, and the straws are drawn, and the wheel is turned — whatever happens to us comes from the hand of God. God holds my lot. God decides it. The Lord rules over it. God is my sovereign, and I am glad to have it so. I don’t just affirm it stoically; I exult in it. That’s what I heard in the morning. That nothing that happens is random. So, I affirmed it in the afternoon- dare I say, exulted in it even – when on a 95° day in May, our AC conked out with friends soon on the way. Then, right there- out of the blue, smack in the middle of verse two – was another line about how our lot is cast. I’m dense and miss things, but even I couldn’t miss that: God holds our lot. How the dice land is from Him. If God be for us, our lot is with God. The dice always land for our good. A text interrupted Carrie mid-sentence. You won’t believe this-that was from Tina. Her dad’s insurance just approved their request. 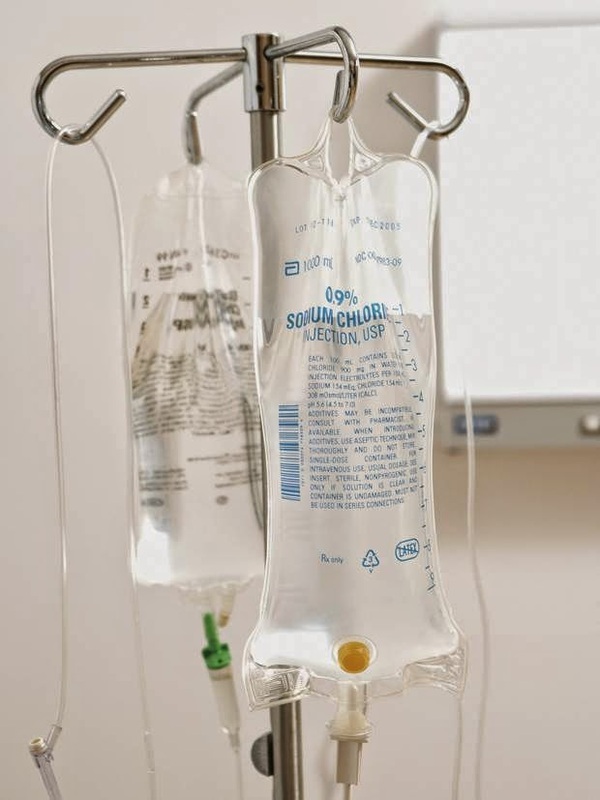 The IV drip will be allowed at home. Seconds before the text, Cathy had shared a request from Tina. Tina’s father was medically fragile. He’d been diagnosed with pneumonia. Again. Him so weak, it likely meant another dreaded hospital stay. So Tina asked us to pray. For her dad’s healing, yes, but more that insurance would approve IV antibiotics at home. Tina feared what long hospitalization might mean for his physical and spiritual health. There it was. Just like that. Still. We were just at the pre-prayer share stage. Carrie was mid-stream in her request. We hadn’t even made it all the way around the circle yet. Would insurance have approved the IV anyway? Does prayer work? Does God grant our requests because we ask? And isn’t God’s will already determined? That little incident drew me back to C.S. Lewis’ essay, “The Efficacy Of Prayer.” You can read the full essay online here. All ten pages are pithy. Some years ago I got up in the morning intending to have my hair cut in preparation for a visit to London, and the first letter I opened made it clear I need not go to London. So I decided to put the haircut off too. But then there began the most unaccountable little nagging in my mind, almost like a voice saying, “Get it cut all the same. Go and get it cut.” In the end I could stand it no longer. I went. Now my barber at that time was a fellow Christian and a man of many troubles whom my brother and I had sometimes been able to help. The moment I opened his shop door he said, “Oh, I was praying you might come today.” And in fact if I had come a day or so later I should have been of no use to him. Lewis quickly concludes that there is no scientific way to tabulate the success rate of prayer. Then he backtracks. The very question, “Does prayer work?” is framed all wrong, he says. As if prayer were magic or machine. Prayer is either a sheer illusion or a personal contact between embryonic, incomplete persons (ourselves) and the utterly concrete Person. In it God shows Himself to us. How unfathomable his ways; his purposes beyond searching out! A God who at once knows what you need before you ask, and at the same time tells us to ask. But, don’t tie the bow yet. On Thursday morning we prayed another prayer. In one form or another, it’s a prayer we’ve been praying for years. We pray for pregnancies. For God to be pleased to open long-barren wombs. For Addy it’s been six years, Breanna; four. For Hope; two. Lewis ends the essay with precious words for us whose requests are refused. While Tina’s request was granted-almost before it was off her tongue- ours is rejected. Are Tina, her dad, some of God’s favorites? Do they court more favor, have more influence at the Throne? God grants our requests. Sometimes, while we are yet speaking. Sometimes He refuses. Breanna, Ally and Hope- each given one fruit of the womb, no more. That, after repeated prayers. But the question triggered by Tina’s text- about the efficacy of prayer- what about that? Can we prove a thing would- or wouldn’t- have happened apart from our prayers? We can’t. And it’s just as well. Rest assured-in granting and refusing our prayers-He’ll withhold no good thing. Infinite goodness and infinite wisdom need no urging.